LOS ANGELES—Shedding considerable light on the acclaimed fantasy epic’s long-awaited conclusion, HBO released a new Game Of Thrones trailer Tuesday revealing that the show’s final season will be cobbled together from old footage. 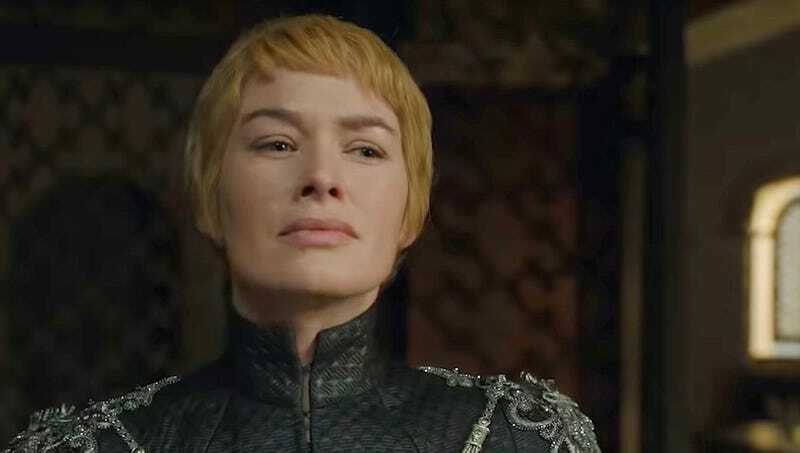 “We’re excited to confirm that the final season will focus on previously aired scenes that have been hastily edited together at the last second,” said series co-creator David Benioff, adding that, if fans watch closely, they may be able to catch glimpses of several beloved, long-dead characters as well as some references to plot points from earlier seasons hidden throughout the teaser. “We know what our fans want, so we’re hoping that the season eight delivers on that in a satisfying way. Without giving too much away, the finale is going to feature a lot of really exciting moments that fans have known and loved—Arya standing on a rock, old clips of dragons flying, some B-roll of a crowd of peasants, and more. Judging by the responses to those scenes in their original seasons, we’re pretty sure fans are going to love it.” At press time, Benioff went on to warn that the trailer could contain spoilers for viewers who were not yet caught up on season two.